After the trauma of Cyclone Thane, gears shifted and that included the direction of communications projects. 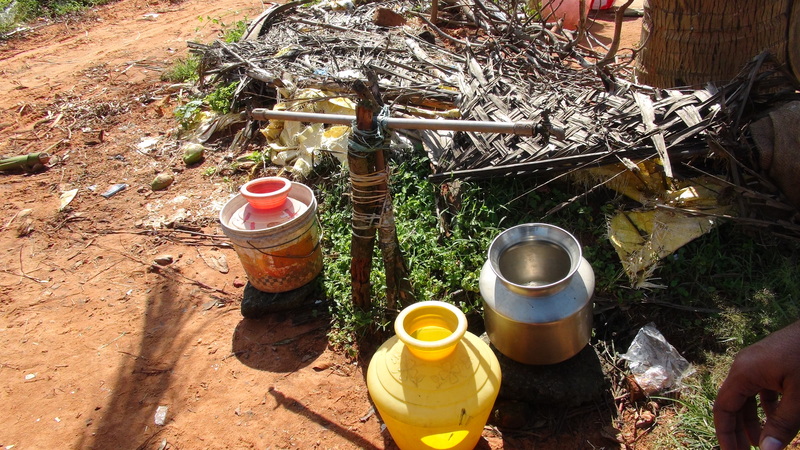 Auroville Village Action Group was mainly concerned with the water situation of the region prior to the cyclone as there was a phenomenon of people damaging the water pumps by motorizing them in order to get larger volumes of water much faster. The problem is that with the constant power outages in the region, the pumps did not work whenever there was no electricity and consequently no one had access to water. This is an illustration of the lack of understanding of low level technologies which are better suited under certain conditions as opposed to modern technologies which are not meant for the infrastructure or perhaps lack of infrastructure into which they are introduced. at the grass roots level. News of the cyclone reached the villagers through their television sets but no information was given on what a cyclone is or does or how to respond to it. When I visited the villages post cyclone, none of the televisions worked any longer because without the knowledge to unplug electrical appliances during a cyclone, most of them short circuited or were crushed by larger falling objects. The project I embarked on was to bridge the communication gap that exists between the government and the villagers. Language was a barrier as I don’t speak Tamil and even if I did, many of the villagers are illiterate, hence my form of communication was aimed at simplicity and accessibility. I used a language that is self explanatory: pictures. After focus group discussions with the village women in Poothrai, Navarkulam and Vasanthapuram, the villagers came up with ways to keep safe during a cyclone after having lived through the experience, which I then put into pictures. The two way communication between the people on the ground is often emphasized in relation to development communications, but I think the two-way exchange should go beyond communication and extend to implementation of the tools and vehicles used to effect change in order to truly be actors of change. Considering the context into which technologies are introduced, whether formally or informally, is key for development to be meaningful. Lack of consideration results in the technologies becoming enemies of progress, as is the case with the electrical motors on the water pumps.